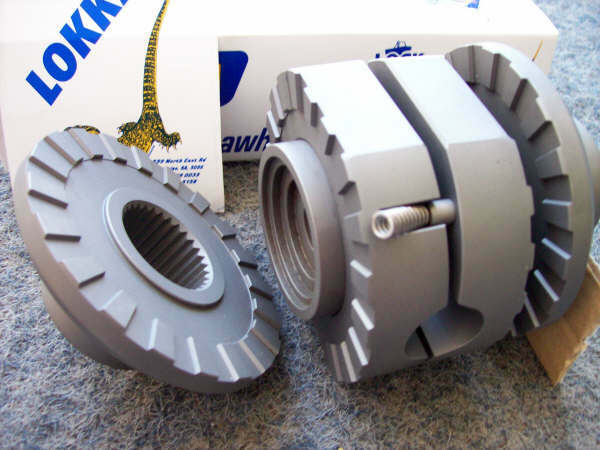 LOKKA is an automatic differential locker that is invaluable for Off-Roading. Whether fitted to front, rear or both differentials, Traction Performance is significantly improved in all realms of 4x4 and 2x4 performance activity. 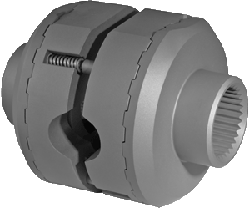 LOKKA is a fully automatic Differential Lock that does not require manual operation. It doesn�t have switches, external lines, electric or pneumatic controls of any sort. It relies on a simple mechanical design which makes use of two distinct sets of forces - the "ground driven" forces acting on a wheel when cornering (that force an outside wheel to turn faster) and the forces from the engine (power) turning the differential and axles. 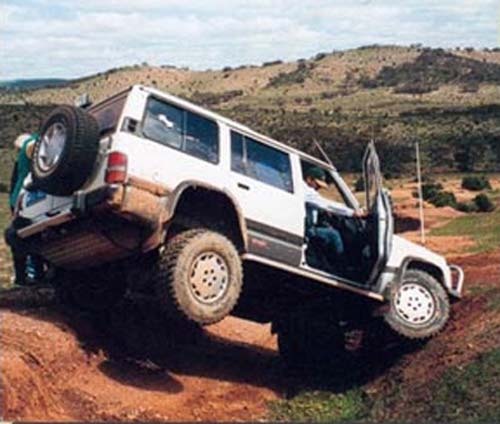 Wheel slippage or a loss of traction can occur for many reasons off-road and include excess throttle, fast approach speeds, limitations in wheel travel (especially independent front suspension vehicles), weight transfer off drive wheels & slippery surfaces such as mud, sand, snow, shale, wet grass etc. 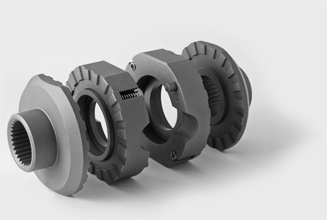 In many of these circumstances both the normal standard differential and LSD center will allow the wheels with the least resistance to spin. Thus the wheels with traction do not obtain any real drive and the vehicle will lose speed or stop. LSD centers might assist under these circumstances but only if they are in good condition and only if there is enough resistance on the spinning wheels to activate the clutch pack or gears to force drive to the wheels with traction. Even a new LSD will allow a lifted wheel to spin freely with no drive to the wheel with traction. 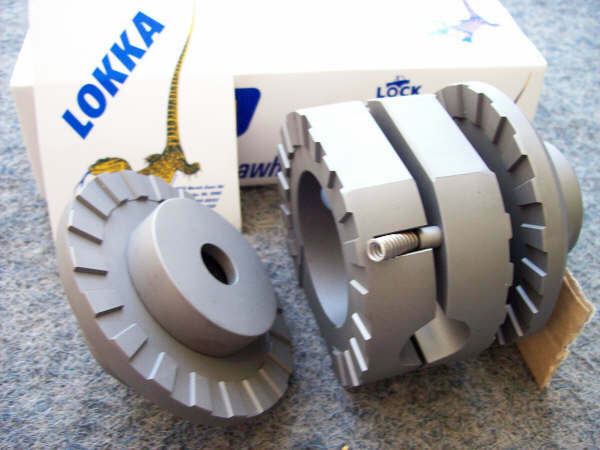 LOKKA overcomes the traction deficiency of the standard differential and LSD center to ensure that a 50:50 power split is achieved when driving, irrespective of ground (or air!) conditions, yet at the same time still allowing differential action when cornering on hard ground. Whether fitted to front or rear or both differentials, Traction Performance is significantly improved in all situations. LOKKA enjoys an excellent reputation for reliability throughout the world � sold in every continent, in all realms of 4x4 and 2x4 performance activity. Took the Prado to Saunders Gorge over the weekend for a little Lokka workout. Rutted and Rocky with some reasonable hill climbs. Lots of loose stuff and the rain had left some marks on the track as well. Lokka performed faultlessly, made the whole task of getting up some steep shaley inclines effortless. My mate Adrian came along as well with his 100 series Lokka's front and rear and he was really impressed as well. Much happier to ease up some of these rutted rocky slopes than use momentum to get through. The more I've read about the Lokka (apart from what I suspected was BS on the Outer-limits forum), the more I'm convinced they're a much better product than what else is available & much better value. From my experience the front locker was far better on hill climbs especially on rocks with a lot of articulation. As you know my leafs arent as good as the coiled trucks that were there but the combination of the adj tough dogs set really soft, good tyres and the front lokka it did it easy and thats without a rear LSD. A friends lwb 92 patrol has only a rear fitted and on the steeper inclines it looked as though it was trying to pick the front wheels up as its being pushed up the hill rather than pulled which also brings up a safety issue. My cruiser simply pulled and clawed its way up anything and never tried to launch the front wheels which gave me a lot more confidence, also the diesel, dual batts and winch put just the right amount of weight over the front. There was a guy there with a pretty serious swb petrol patrol with at least a 4" lift and all the gear and plenty of experience and he had a lot of positive feedback for me after getting to the top of a hill that honestly had my clutch leg shaking a bit and getting out of his truck to watch me climb up. His comments were how easy it made it look in comparison to more highly equiped trucks. I couldn't be happier with my truck the way it is now and would definitely recommend the front lokka over the rear and even better if you have a rear lsd. If you need more than that then maybe you shouldnt be there, if ya wanna get home anyway.